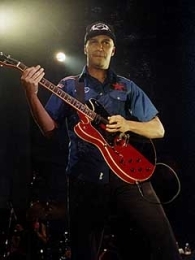 Tom is the guitarist from Rage Against the Machine, and is one of the more creative and inventive guitarists out there. 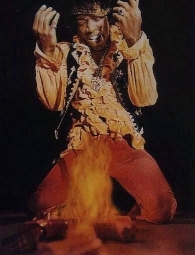 He can make all sorts of crazy sounds on his guitar, and with a hanful of effects no less! For his REAL setup (not the crappy one on GuitarGeek), click here. 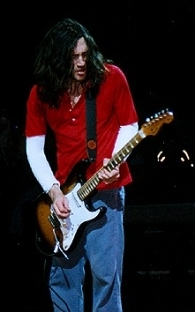 John is the current guitarist for the Red Hot Chili Peppers. He is ane awesome guitarist, and blurs the line between rhythm and lead guitar parts. 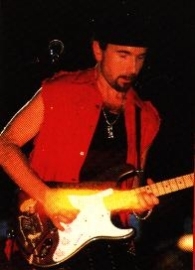 From slow ballad-style songs to fast funk, John is great! 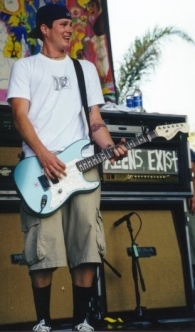 OK, OK, I do like Blink-182. 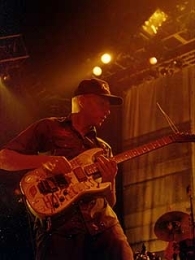 Tom may not be the best guitarist, but his songs were some of the first songs that I learned to play on my electric guitar when I started two years ago, and they sound pretty good. Personally, I think they're a pretty awesome band, but that's just me. 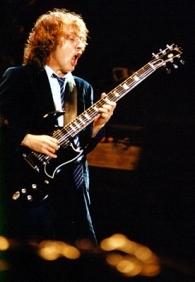 The forever-young Angus Young of AC/DC. He just rocks. 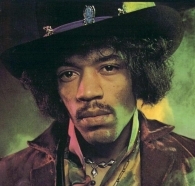 His solos are cool, and he really works wonders with chords, and created the most memorable guitar lines ever! 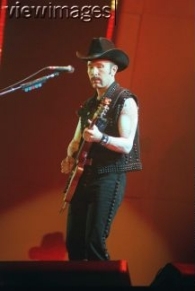 Edge is the guitarist from U2, one of my favorite bands. He has one of the best tones I've ever heard, and uses it wonderfully in all their songs. My personal favorite song: Where the Streets Have No Name. 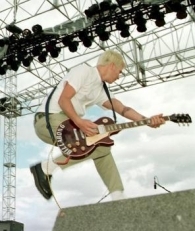 Hillel was the original guitarist in the Red Hot Chili Peppers. 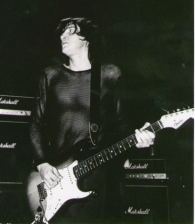 He's one of the few guitarists who could truly claim to have invented a style of guitar playing. 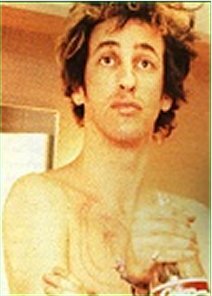 Hillel died of a heroin overdose in 1988. Immortal through his music. 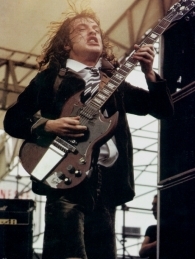 The true guitar god.